Fancy exploring Dubai on a budget? Whether you’ve got visitors in town or you feel like being a tourist in your own city – here are 5 top attractions in Dubai that you can visit for AED 50 or less, and should be on everyone’s Dubai bucket list! 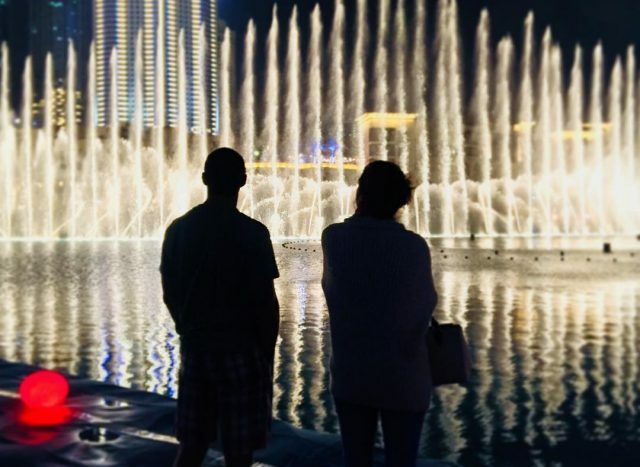 The magical Dubai Fountain show is a sight to behold, which is why the Dubai Mall promenade is always jam-packed. Fancy avoiding the huge crowds and getting even closer to the action? The Dubai Fountain Boardwalk, a floating platform on the water, lets you do just that! Warning – you’ll be sooo close to the fountains that you may get a little wet.